Think fugitives are always bad guys running from the law? Think again! 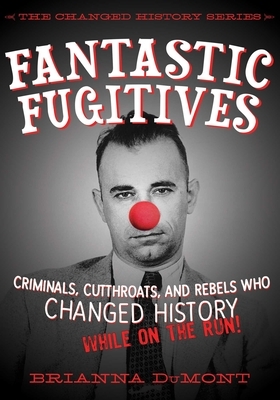 The twelve fugitives in this book annoyed everyone, including queens, presidents and popes. But they didn’t let the peeved or the powerful stop them from breaking laws. They stood up for what they believed in, which could be as noble as freedom or as greedy as money. They founded countries, won wars, and even ended empiresall while on the run! Follow the twists and turns of these lawbreaking lives to learn how anyone can change the world. Even you! Just make sure you have your running shoes tied tight.